Three Ways Ford is Testing the 2019 Ford Ranger to Make it "Ford Tough"
Ford is putting the 2019 Ford Ranger through a series of tests to make sure that it will be as tough as the popular Ford F-150s. Ford details some of the grueling tests. Ford is putting the all-new 2019 Ford Ranger through a barrage of testing to make sure that it is up to the “Ford Tough” F-150 durability standards. In the lab, a four-post shaker table abuses Ranger for days to check against squeaks and rattles. Ford also has chambers that can mimic extremely high and extremely low temperatures to test every component in the truck for durability in extreme weather conditions. It also has different cells that test the trucks for endurance, running tens of thousands of miles on different machines to ensure that all moving parts stand the test of time. I have been in some of the different lab chambers as Ford demonstrates the sub-zero testing as well as the high-wind challenges. At Ford’s Michigan Proving Grounds, a fully loaded Ranger hits the brutal Silver Creek track with impacts so severe that robotic drivers are used so humans don’t get injured. The track tests the truck frame and body to guarantee that the vehicle will tolerate rigorous road and off-road conditions. 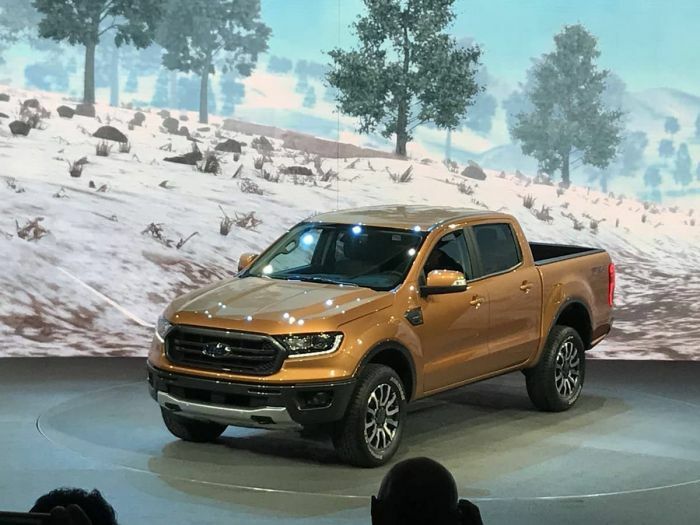 The 2019 Ford Ranger will offer a special Terrain Management System, Trail Control and blind spot monitoring with trailer support, to help it compete with other midsize trucks already on the market. Several of the competitors also offer off-roading capabilities. No word in the latest information about a special Raptor edition of the 2019 Ford Ranger. Many truck enthusiasts are hoping that the 2019 Ranger will feature a tougher Raptor version, much like the Ford F-150 Raptor. The 2019 Ford Ranger will be available for sale in early 2019.